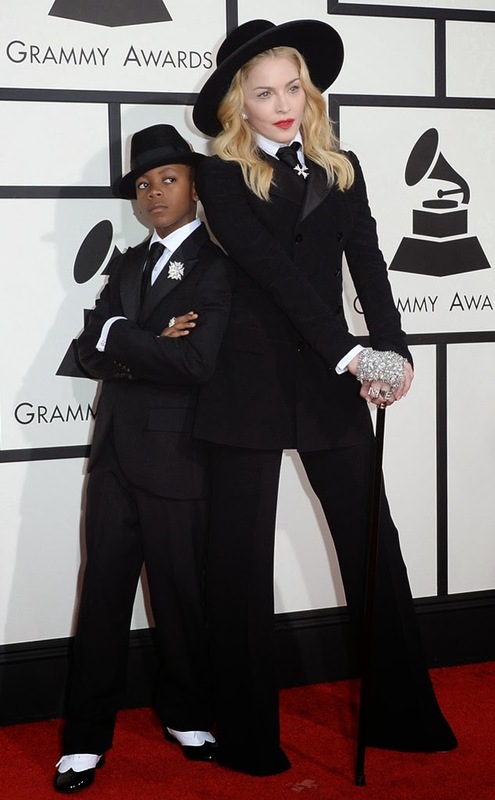 Pop Star Madonna hit the red carpet with her Malawian-born son David Banda in matching tux at the 56th Annual Grammy awards. David Banda was the stylist, "For this look, I followed his lead. He dressed me tonight, he wanted me to dress like him, so I obeyed him." says Madonna when interviewed by Ryan Seacrest from E!. 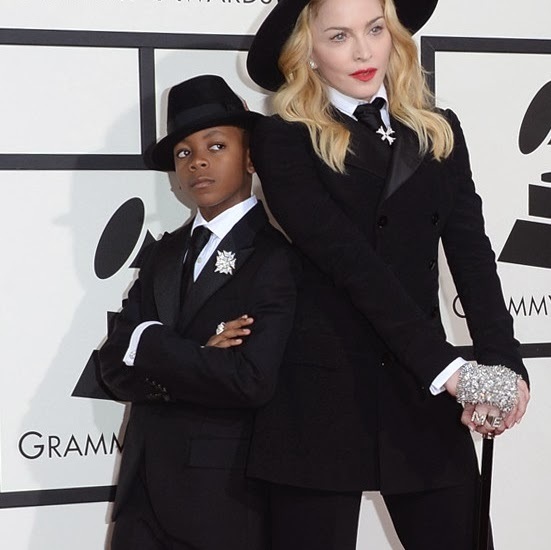 Madonna was also rocking some grills, but no dental-wear for David, "She said she'd get me grills for this birthday," said the the Material Girl's son. David Banda was born in Malawi and was adopted in 2006 is by Madonna. He is now 8 years old and seems to have an elegant style!